Swiss mountain rescue teams have pulled out four people who were buried in a mid-afternoon avalanche at the popular ski resort of Crans-Montana and are searching for others still alive, police say. 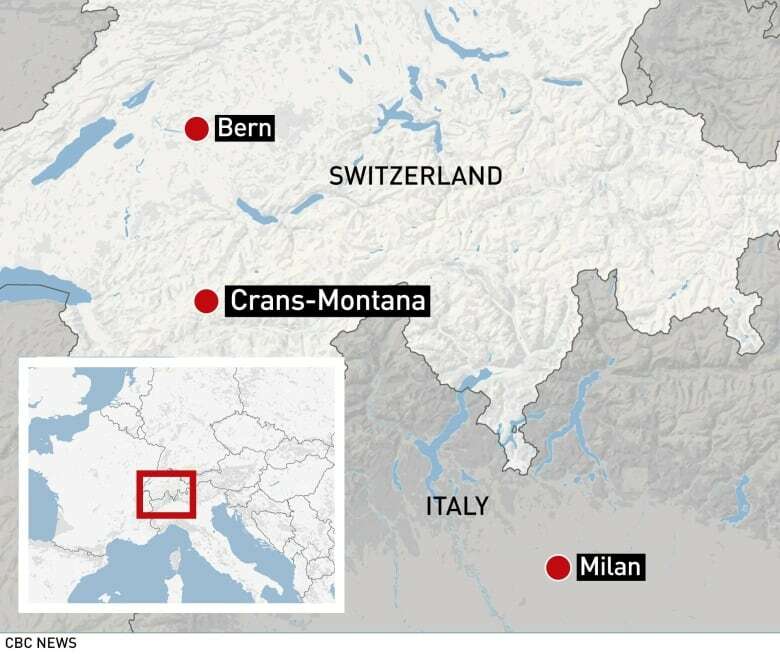 At least four people were injured in an avalanche in the Swiss ski resort of Crans-Montana on Tuesday, including one whose life was in danger, and a search continues for other possible survivors buried on the ski run, police said. "Rescuers arrived very quickly, they rescued four injured people, including one whose life is in danger, and three were injured more superficially," Valais cantonal police Cmdr. Christian Varone told a news conference. "Witnesses told us there could be more people under the snow. That is why we are pursuing the search with considerable means." He said the avalanche was 840 metres long and 100 metres wide, with 400 meters of heavy snow hitting the trail. Eight helicopters, 12 dogs and more than 240 police, rescuers and soldiers worked to find any more people in the snow as night fell. The Nouvelliste, a local newspaper, quoted the commune's president Nicolas Feraud as saying 10 to 12 people were believed to be trapped. The paper said the avalanche covered 300-400 metres of a trail. Valais police said the avalanche took place near the Plaine Morte peak and resort operator CMA said an alarm sounded shortly before 2:30 p.m. local time. 2 skiers caught in avalanche, snowmobiler spends night outdoors near Fernie, B.C. Manager Michele Vizzino of the La Violette restaurant near the gondola heading up to the peak said he heard the avalanche but didn't see it. 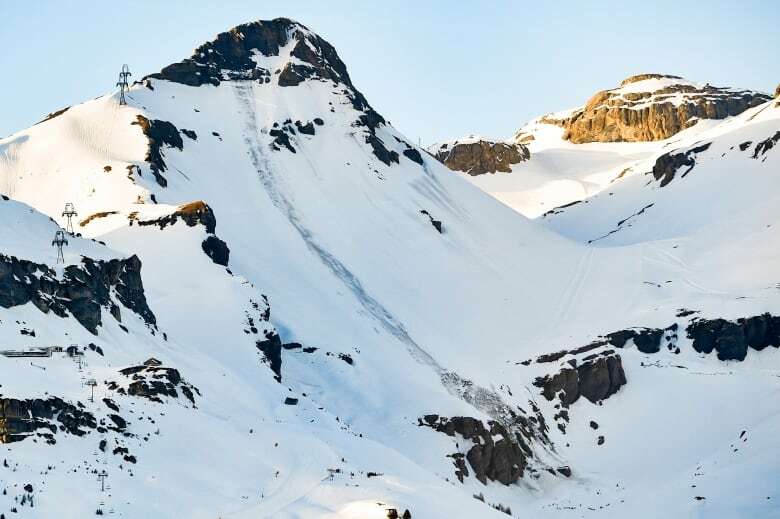 Video from the site showed skiers on the slopes above a trail of lumpy snow. The mid-afternoon slide came after a week of warmer temperatures, but the Swiss Institute for Snow and Avalanche Research said the danger for the area had been only two on a scale of five on Tuesday. Prosecutor Catherine Seppey said that an investigation had been opened. "There are two hypotheses," she said. "The first is that several skiers set off the avalanche. The second hypothesis is it was a spontaneous avalanche due to climatic conditions, and in that case it will be a question of determining responsibilities and problems of security." The avalanche coincided with school holidays in some regions, including Geneva, as well as overseas. Britain's Blackheath High School tweeted that all its students on a ski trip in the area were safe. "There were about 8,000 skiers on the slopes, which is a good day," Magistretti said. A women's World Cup skiing event involving stars like Switzerland's Lara Gut is scheduled for this weekend on the Mont Lachaux run at Crans-Montana. 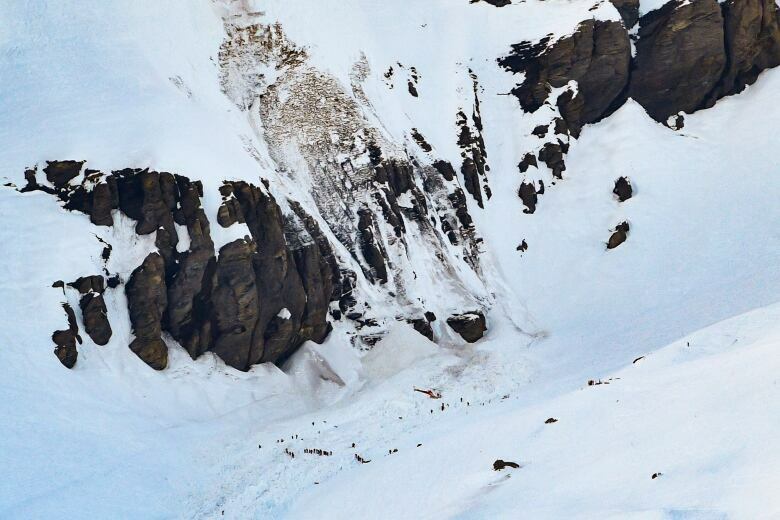 Event spokesperson Hugo Steinegger said two companies of Swiss military forces who had been deployed for the races were quickly dispatched to the avalanche site to help with the rescue operation. 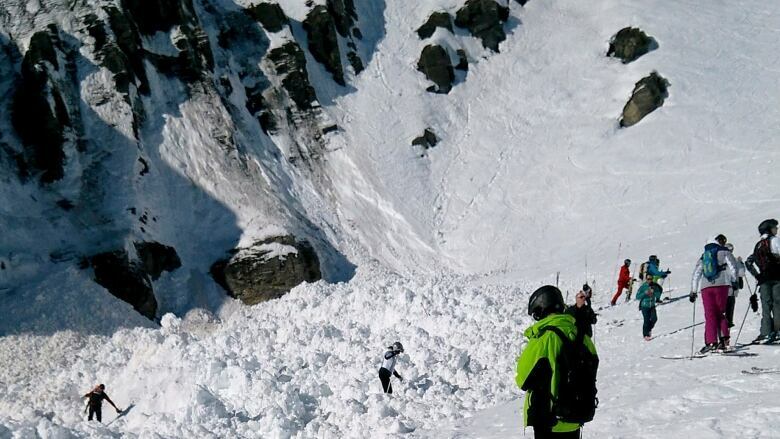 He said the avalanche was not expected to affect the start of the event, which begins with training runs on Thursday.